Halloween might be over, but that’s no reason to end the thrills. After all, there’s less than a year until the next celebration of everyone’s favorite spooky holiday arrives. The big day happened to coincide with new comic book day this year, resulting in a delightful combination of new releases that provided all of the scares we expect from the October event, but which also deliver great stories across the year. In order to help sustain the spirit of Halloween and provide readers with something to manage any disappointment that yet another season of haunted houses and trick or treating has passed, we’ve assembled a list of the best new horror comics released last week. Whether you’re looking for a reminder of the reason for the season or just a great new read from your local comic book store, all of these newly released titles come highly recommended. After a very long wait following the first story arc, Wytches has finally returned, and it has not missed a beat during the hiatus. This oversized issue collects all of the short chapters originally released in Image+, along with the never-before-seen ending to this story of two boys growing up on opposite sides of an ancient war. 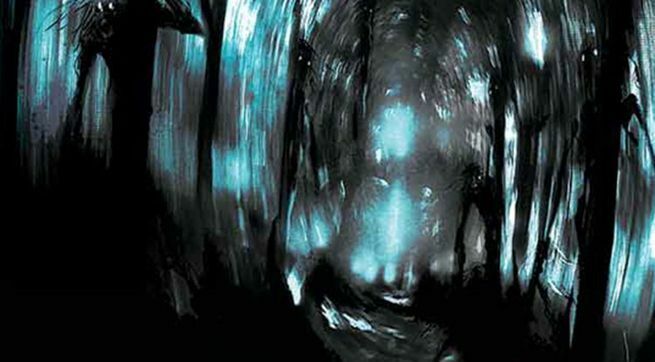 Whether you’re a new or returning reader, this complete story provides everything you need to know about why Wytches is one of the most terrifying comics coming out today, and why we’re excited to see more of it very soon. 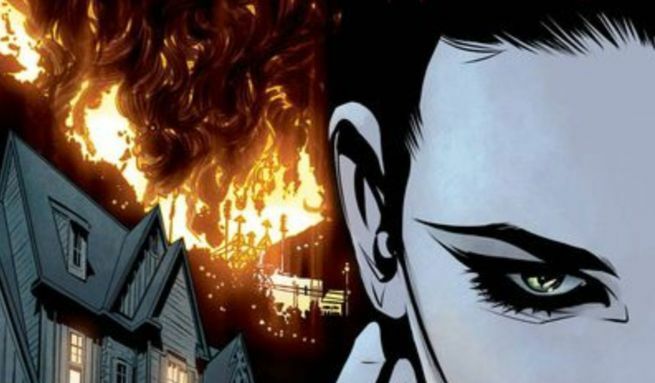 Vertigo Comics has been on a roll this fall, and the debut of Hex Wives is no exception to their current success. The story proposes another take on the mythology of witches in the United States, one in which a small set of immortal women are in constant battle with misogynistic hunters. The first issue does an excellent job of explaining both the history of these two groups and providing a big twist at the end. This is one series that is definitely worth watching as it continues to grow a world that’s thrilling from the very start. Marvel Comics brought in many of their top writers and artists, including a few rising stars like Eoin Marron, to deliver some bite-sized tales of terror. Each story is only a few pages, playing on a classic Marvel concept before delivering twists in the style of EC Comics. 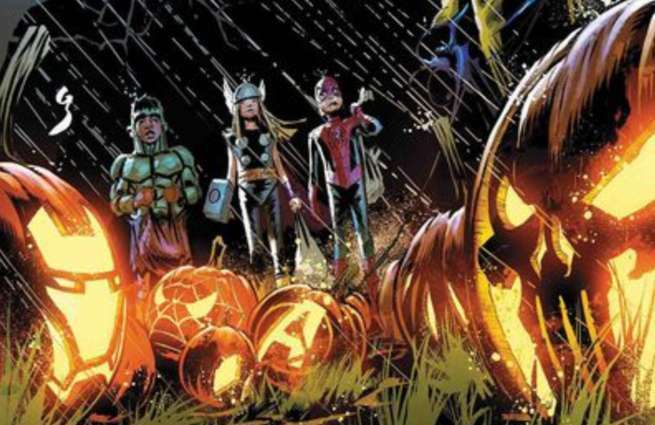 While mileage will vary depending on style and personal preference, there’s a lot to enjoy for any fan of Marvel Comics here, making it the perfect treat for any superhero fan’s post-Halloween blues. 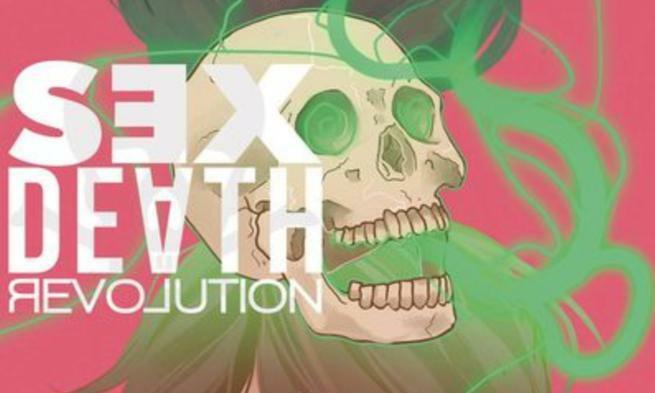 Black Mask Comics is one of the most ambitious publishers in comics today, and their newest series provides readers of urban fantasy with a story that will demand their attention. It’s another take on how witches might function in modern America, and the first issue provides just a glimpse on a complex world of magic and mystery. 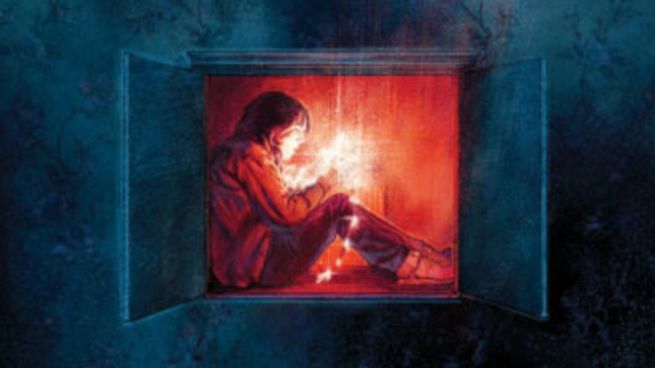 Visaggio has quickly established a great reputation in comics, and this new story is yet another series that fans should keep a close eye on. 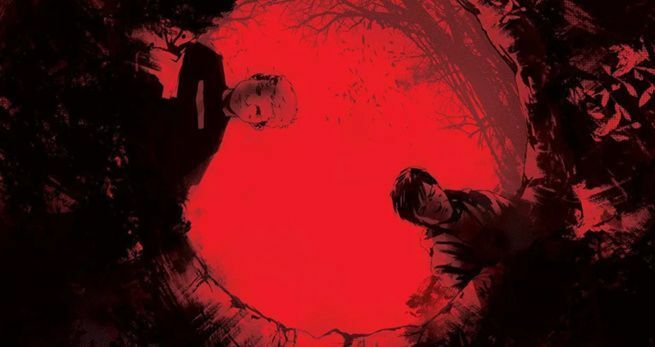 As American Vampire draws ever nearer to its apocalyptic conclusion, Vertigo Comics is re-releasing the series in a collection of omnibuses for new readers and collectors. This comic infuses American history with the folklore of vampires and brings readers from the Old West to today in a stylish horror story. If you have not already checked out American Vampire, the new hardcover collections provide a perfect opportunity to catch up before it’s all over. Alan Moore took a crack at the gore-tastic series Crossed and found untapped potential in its future when he wrote Crossed +100. 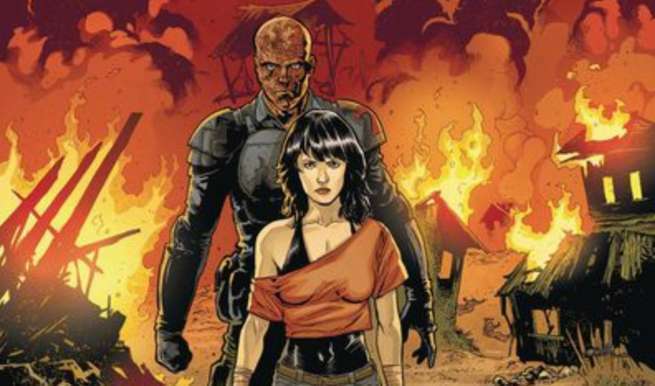 The first follow-up to that series reached its final issue last week and provided horror readers with plenty to discuss. This series has managed to provide both the ugliest elements of Crossed with some careful consideration of how societies evolve and change, resulting in a horrifying comic that also manages to be oddly thoughtful at times. Dark Horse Comics continues to fill in the corners of the Netflix series Stranger Things with the second issue of their spinoff series arriving just in time for Halloween. Unlike many comics loosely related to television, this series provides some essential lore for fans of the show and is hands on with characters whose final destinations have yet to be determined. It’s a must-read event for any viewers of Stranger Things and a great way to fill the fall and winter months while the third season is still in production. 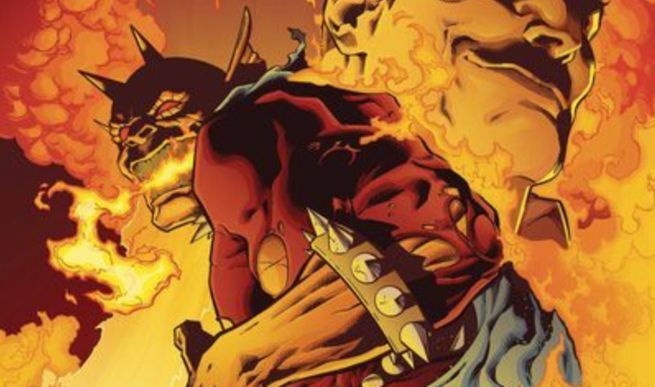 While Etrigan the Demon hasn’t returned for an ongoing series at DC Comics, they did allow him to fill the pages of a miniseries that brought an absolute cataclysm to the Southwest United States. This series was a great example of how an anti-hero can emerge as the lesser of two evils, and provided plenty of twists and thrills along the way. For fans of Jason Blood and his notorious counterpart, this is a must read until The Demon eventually returns. Each issue of Ice Cream Man has provided its own story and tone, but every single one has managed to send at least one shiver down a reader’s spine. Hallucinations, hordes of insects, and serial killers populate the pages of this surreal take on a small town, and there’s always a fresh horror to be discovered in each new issue. By now Ice Cream Man is a can’t-miss read for any fans of horror comics. 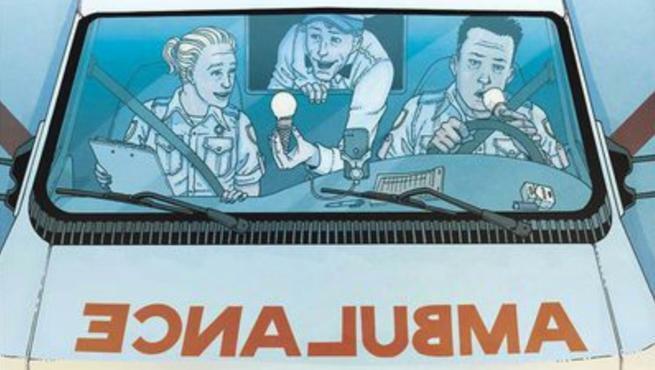 Readers of zombie comics must be counting their lucky stars for the continued translations of I Am A Hero at Dark Horse. 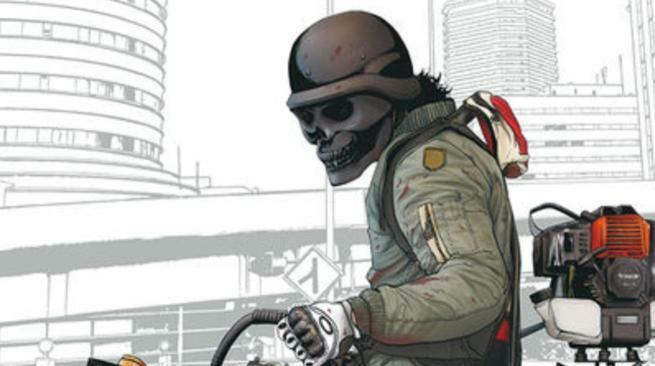 This series takes its time in fleshing out Japan after a zombie outbreak. Its protagonists are deeply flawed and the most terrifying moments move in slow motion over slowly evolving pages. There is simply no horror comic like I Am A Hero to be found anywhere else on the stands, and each new volume is a terrifying delight to explore.